Key moments from Saints' defeat to Leicester City. Saints fall to 4-1 defeat against Leicester City at St Mary's. Defender reacts to a tough night at St Mary's. Defender calls on Saints to pull together after Leicester defeat. Saints' boss reacts to Foxes defeat. Foxes hit four on night to forget at St Mary's. Former Saints boss on return to St Mary's. Get the lowdown on Leicester City from journalist Rob Tanner. Maya Yoshida goes under the microscope in the matchday magazine. Pellegrino pleased with his Saints squad's mentality. Mauricio Pellegrino previews Saints' home clash with Leicester City. The key numbers ahead of Saints taking on Leicester City. Check out the images from Monday's training at Staplewood. Saints boss looks ahead to Leicester City clash. Saints' home clash against Leicester City now on sale. Ticket details for Saints' home clash with Leicester City. A selection of images from a frustrating night at St Mary's. Leicester leave with all three points. Saints well beaten here at St Mary's. It was an uphill task after a poor first half. Maya Yoshida looked to have gotten the hosts back in it, before Austin missed a glorious chance to reduce the deficit further. But Okazaki killed the game off in the 70th minute. The frontman has worked tirelessly tonight, but it hasn't fallen for him. A chance at 3-1 to pull a goal back, but Schmeichel pulled off a wonder reaction save. Leicester keeping possession well, trying to wind down the clock. The visitor's have looked organised, and clinical in attack. It doesn't appear to be our night here at St Mary's. Charlie Austin working hard to keep the ball in play, before it trickles over the line and out for a goal kick. Bertrand and Redmond link well, but the latter's cross is wayward. Saints attempting to create, but Leicester are proving characteristically difficult to break down. Just as Saints work their way back in to the tie, Leicester nick another. Mahrez spreads the ball wide to Jamie Vardy, whose pin-point cross is attacked and dispatched by Okazaki. Boufal comes off, to be replaced by Nathan Redmond. Saints still trail by two. The centre-half heads in from a corner. Saints may have a lifeline here, with half an hour to go. Always full of energy, Bertrand sprints down the left channel. Wins a corner off Simpson, but the delivery is well caught by Schmeichel. Forster palms to safety, fairly routine. Resulting corner is cleared by Cédric. Leicester come again with Harry Maguire, who shoots and Forster saves awkwardly with his feet. Charlie Austin takes his frustration out on Okazaki, who goes to floor. Referee brandishes a caution. Sofiane Boufal works his way down the left, resulting corner cleared. But Manolo Gabbiadini should provide Saints with more of a focal point up top. The Italian partners Austin. Mauricio Pellegrino makes a half-time switch. Withdrawing Romeu, as Saints go in search of goals. Saints trail by three at the break, after a disappointingly sloppy first half. Dušan Tadić floats a ball across the box, headed back in to the path of van Dijk by Bertrand. The centre-half takes it on the volley, hit with pace, but always rising. Harry Maguire crosses, Andy King arrives late at the back post to tap home. Saints trail by three. Fox in the box, quite literally. A corner is floated to Christian Fuchs, who volleys goalward. The effort rebounds and is turned in by Okazaki, who was quickest to react. That's more like it! Austin, looking to extend his rich vein of form, tests Schemichel from distance. It is palmed away to safety, before the ensuing corner comes to nothing. The Saints wall stands tall, as Mahrez tries to bend a characteristic effort goalward. van Dijk with the original foul, upending Jamie Vardy. Sofiane bright again down the left, trying to wriggle free from Wilfred Ndidi. The midfielder battles well, and eventually wins the free kick. Superb tracking back from Mario Lemina, who prevents an almost certain Leicester second. Forster was beaten, but the midfielder's industry got Saints out of trouble. Leicester on top here, as Okazaki calls Forster in to action from range. The Saints 'keeper smartly tips his effort around the post, before Wilfred Ndidi's shot is also smothered. Leicester's most lively threat, Mahrez wins a corner off Cedrić. Which goes to waste. But the visitor's are enjoying a positive spell here, after Saints dominated the opening few minutes. Riding a challenge, Mahrez worked the ball on to his favoured left boot and fired low past Fraser Forster. In traditional Leicester style, the visitor's first chance is created via a breakaway. Jamie Vardy leads the charge, but his square pass is too weighty for Okazaki, who had pulled away at the far post. Sofiane Boufal is well found by Davis out wide, and makes a charge for the byline. Charlie Austin awaits the cross, which is somewhat fumbled. Leicester clear once more. Good running from the fullback, committing himself forward. The cross is floated in to the back post, where Dušan Tadić had made a late dash. But Schmeichel claims. Steven Davis across to take the delivery, flicked on at the near post and nearly turned in by Maya Yoshida. He gets another bite at the cherry seconds later, but Leicester clear. Good early intent! It is a chilly evening here at St Mary's, as our Saints squad gear up for tonight's Premier League action. We're just over half an hour away from kick-off! 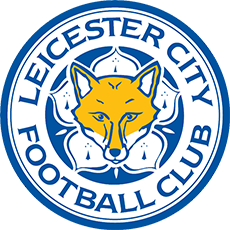 Starting XI: Schmeichel (GK), Simpson, Morgan (C), Maguire, Fuchs, Chilwell, Ndidi, King, Mahrez, Okazaki, Vardy. Subs: Hamer (GK), Dragović, Amartey, Iborra, Gray, Albrighton, Ulloa. Mario Lemina regains a starting berth ahead of Pierre-Emile Højbjerg, while Jack Stephens also drops down to the bench to accommodate for the returning Cédric. Sofiane Boufal and Steven Davis come in to Saints' attacking line up. Starting XI: Forster (GK), Yoshida, van Dijk, Bertrand, Cédric, Lemina, Romeu, Boufal, Tadić, Davis (C), Austin. Subs: McCarthy (GK), Stephens, Long, Ward-Prowse, Højbjerg, Redmond, Gabbiadini. it will be a strange feeling to go back to st mary's stadium but it will be nice to see some familiar faces. Maya Yoshida is the latest cover star of SAINTS for the visit of Leicester City. The long-serving defender reminisces about how he turned his dream of playing in the Premier League into reality. Available now! Our home changing room is dressed with Saints shirts in preparation for tonight's Premier League clash. Who would you like to see in the starting XI? 📸 St Mary's stage is set! St Mary's Stadium looking resplendent under the lights! We're all set here for our first home Premier League evening fixture of the season. The players arrive at St Mary's ahead of tonight's Premier League clash, under the famous St Mary's lights. Kick-off is 7:45 PM. Watch our matchday video, for an insight in to Saints' preparation, the key facts and stats, as well as some classic footage from previous meetings. some of my players have to wait for their opportunities, but the most important thing is the mentality to be really well prepared to help the team when needed. Relive Saints' 3-0 victory over Leicester City at St Mary's back in January 2017, as James Ward-Prowse, Jay Rodriguez and Dušan Tadić claimed the goals. IT WILL BE ANOTHER GREAT OPPONENT. WE KNOW THEIR QUALITY AND IT WILL BE IMPORTANT FOR US TO FIND GOOD PLAY, CONSISTENCY AND KEEP A GOOD FOCUS ABOUT OUR GAME. We spoke with Mauricio Pellegrino on Monday afternoon. Take a look at our interview with the Saints boss, as he discusses the showdown with Claud Puel's Leicester City.